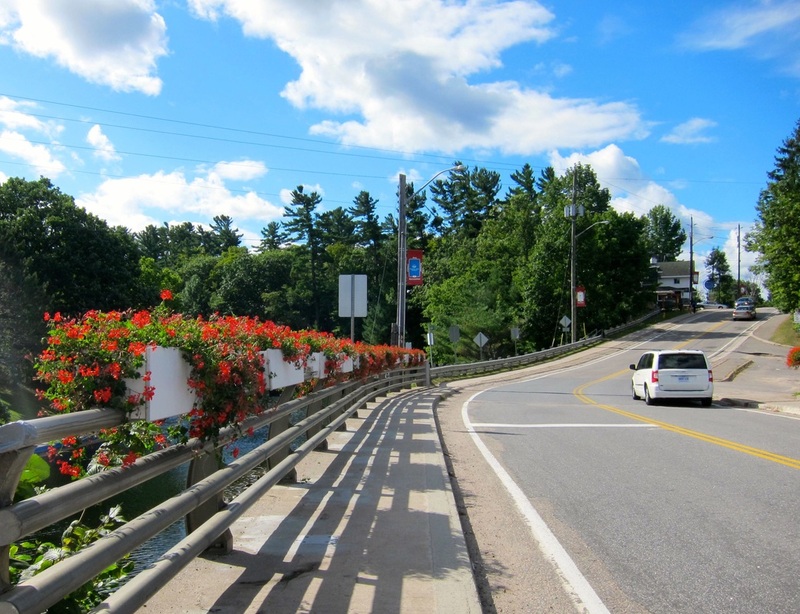 ​Rightly referred to as the hub of Muskoka, Port Carling, through its locks, provides access to the three big lakes, Rosseau, Joseph and Muskoka, the summer playground for Toronto. ​If you happen to be in Toronto, head to Port Carling in the weekend. Just a short hour and a half drive from Toronto, it offers a look at a long slow trudge of change that started way back in the steamship era and now features million dollar summer homes that Canadians fondly refer to as cottages. ​Port Carling was settled as early as the 1850's by the Ojibways who found this a fine place to summer in. Located on the Indian River, it is indeed a stunning introduction to Canadian main summer affliction: cottaging. According to Richard Tatley, author of Port Carling, the Hub of Muskoka Lakes, this bustling community can justly consider itself the oldest in Muskoka. It was once called Obejawanung by its first settlers, the Ojibways. In Ojibway, this means "Meeting Place”. ​Its bridge and locks, steamships, museum and magnificent park is nature's art work inviting tourists to a cottage shopping village and attracting the local wealthy cottage owners like steel filing to a magnet. It has its own summer theatre as well and its tiny boutiques often in old houses, specialty stores and antique shops are part of what draw people to the place. ​The roads in and out offer some of the best driving for decent cars in this part of the world. There maybe no oceans and mountains but the pioneer beauty of Muskoka is like a Tom Thompson painting and with its small lakes and massive rock faces, it will take your breath away. The village is decked with flowers especially around the bridge. The area around the Locks and the Museum has a landscape that invites you to just sit and watch the boats go by or go through the locks. ​When you are in Port Carling, take a few precious minutes to watch the locks and wait awhile until the lock master is free. He may just regal you with the lock's history and other interesting stories on Port Carling. Completed in 1871, these locks which connect the big lakes in Muskoka brought an economic boom to Port Carling. Today, it continues to do so bringing in the latest and some of those old antique boats which remind us of the bygone era. In 1868, a post office was opened in the area with Benjamin Johnston serving as the first post master. He then embarked on a campaign to build the locks together with the owner of the Muskoka Navigation Company, A.P. Cockburn, and John Carling, the Ontario Minister of Public Works. They succeeded in convincing the government of the value of connecting the lakes and in 1869, the construction started. 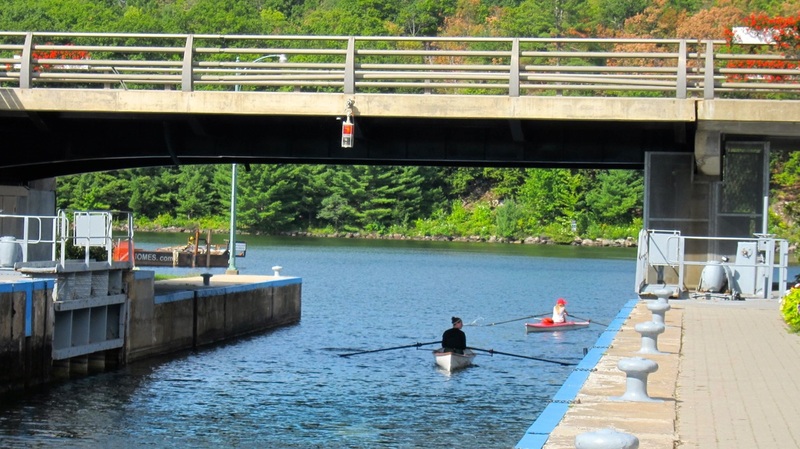 The locks were completed in 1871 and that year marked Port Carling's becoming a major tourist resort. In 1903, the locks were opened to steamship traffic which continues to operate today mainly for tours. Its presence continues to make this area a popular destination especially for cottagers and boat owners in Toronto. 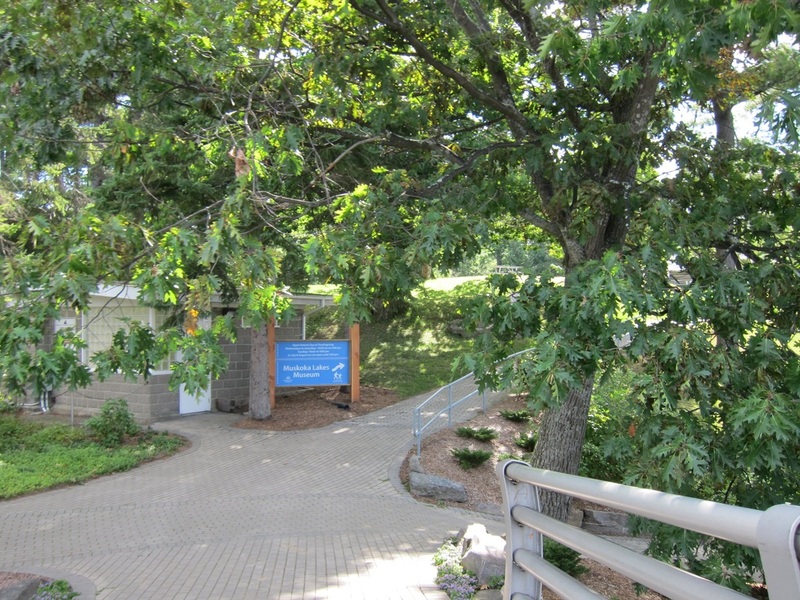 ​This museum is just around the locks so take a peek. Learn a bit about the development of Muskoka Lakes, its pioneer history and other significant vignettes from the museum's 5000 artifacts. Visit the gift shop and get some of the local crafts and books of local authors. ​Approaching Port Carling from the lake also offers a different perspective. As you go up the bridge from the Locks, this is your quick peek at the main street. ​The not to miss steamship tours start from here. Your visit to Port Carling will not be complete without taking a ride in one of these magnificent old beauties. Sometimes, we just love to watch them as they gracefully glide through the waters. Take a tour in one of these old steamships and have an experience of time past when these were the transport plying around and fuelling the economy. Built in 1887, it is still the oldest operating steam driven vessel in North America and it continues to hum through the lakes of Muskoka. Getting in the Segwun in Port Carling, you will have a chance to see the three lakes of Rosseau, Muskoka and Joseph and have a sense of the power of the steamships at that time in Muskoka. You need to drive out for this one as it offers the best variety and history in wooden boats. Let's not forget great food and good drinks. This is cottage country and light frivolous delicacies make no sense whatsoever. Burgs and barbecue, chicken and ribs and great local beers (maker a Laker), Muskoka Lager, etc. Eating outdoors is the way to go and words like al fresco don't seem to fit in a town with Port Carling's rugged history. But it's no surprise that with Toronto moving out here in the summer, the gourmet offering can't be outdone. Specialty bread and baked goods each gather its own following and the cottage country affliction for butter tarts is well served. ​With access to three Muskoka Lakes, how can one go wrong? This is the place to enjoy the water in a steaming hot weekend. No other place offers a variety of things different generations will enjoy. ​Tour in the steamships, water ski, tour the three lakes in your boat, swim, kayak, canoe or whatever water fun you can think of. 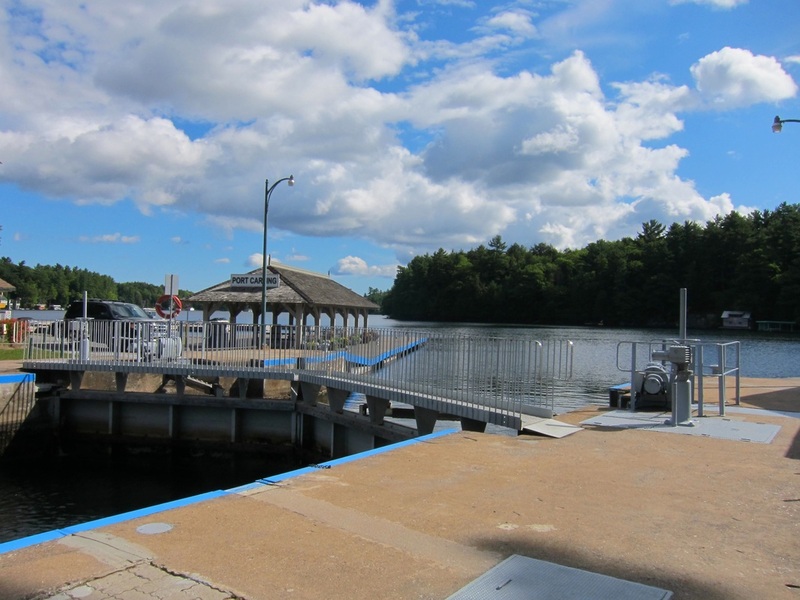 There are lots to enjoy in this vast water expanse that Port Carling makes possible. If you haven't yet, go there in the Fall and enjoy the change of colors and the carpet like beauty of the dense maples that dot Port Carling and surrounding areas. Before heading home, visit the other places close by. Rosseau is a quaint little town and boutique shopping here is fun. Have you been to Port Carling? What other tips would you add? 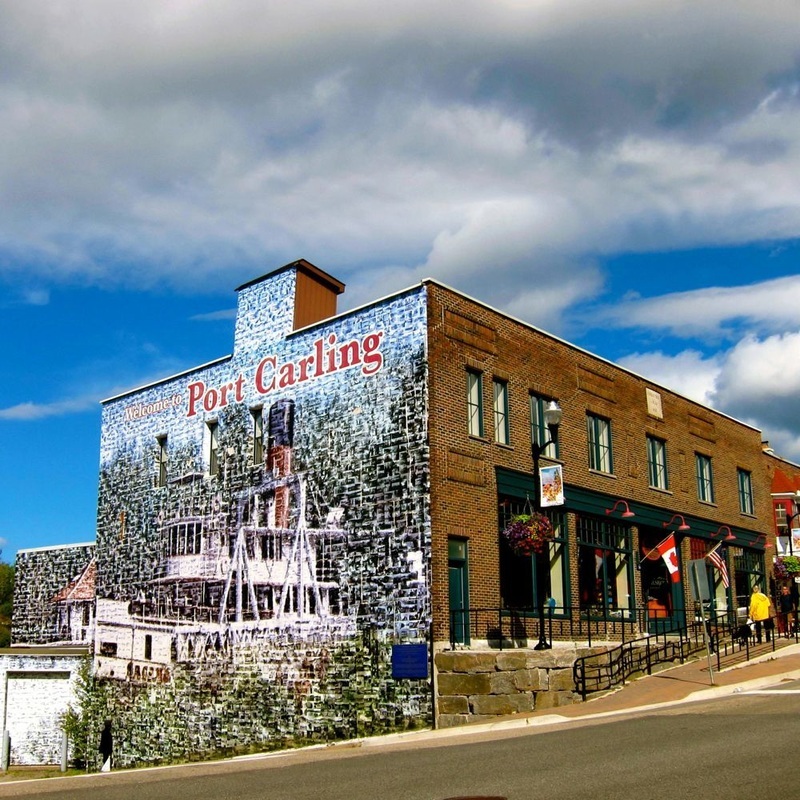 Let Richard Tatley introduce you to Port Carling. This book offers a comprehensive history of Port Carling and its becoming as the hub of Muskoka Lakes. ​Richard Tatley offers an interesting account and if you are interested in Canadian history, this book is not just on Port Carling but on life in the early settlement in Canada.